Located in a privileged location, at the very centre of Lisbon, Pousada de Lisboa - Small Luxury Hotels Of The World offers elegant accommodation with free WiFi and an à la carte restaurant. 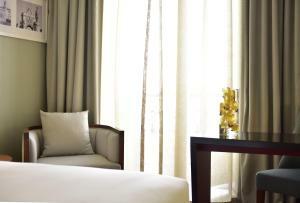 Rooms feature a classical style and offer views for the Terreiro de Paço Square and Áurea Street. Each room comes with its own elegant private bathroom and fully equipped with a flat-screen TV, air conditioning, telephone, safety deposit box, soundproofing and minibar. 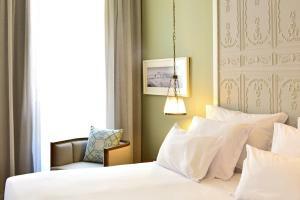 Pousada de Lisboa - Small Luxury Hotels Of The World features its own on-site restaurant and bar. Guests can taste a varied menu based in traditional Portuguese cuisine and in the evening relax at the bar while enjoying a drink. 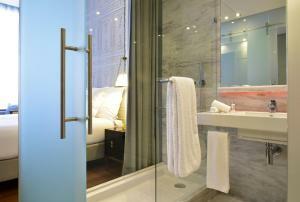 Other facilities available on site include a wellness centre, a sauna and a fitness centre. Services available include car and bicycle rental. Going through the pedestrian Augusta Street, with its brand stores and cafés, guests will reach the iconic Rossio Square, situated 600 metres away. Guests can also visit the chic Chiado area a 7-minute walk away and then reach the lively Bairro Alto district with its various bars. Lisbon International Airport is 6.7 km away. Extra beds and cots are only available on request and must be confirmed by the hotel. These will be charged separately during the stay. Elegantly decorated in a classic style, these comfortable and well-lit classic bedrooms with a double bed are equipped with all conveniences for our guest feels like they are in their own home. They offer views to Praça do Comércio, Rua do Ouro or Lisbon City Hall. Please note that this room cannot accommodate baby cots. Rate: € 190.00 ... € 530.00; select dates below to get current rates. Elegantly decorated in a classic and traditional style, the spacious superior rooms with twin beds are equipped with all the conveniences in order to provide a memorable stay. 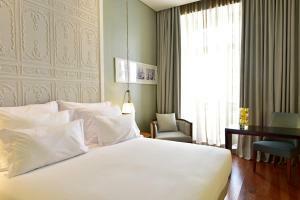 The superior rooms offer views to Praça do Comércio, Rua do Ouro or Lisbon City Hall, some of them include a balcony. Please note that pets (dogs) are only allowed in these rooms. This is upon request, at an extra charge and depending on confirmation from the property. Rate: € 219.21 ... € 348.33; select dates below to get current rates. 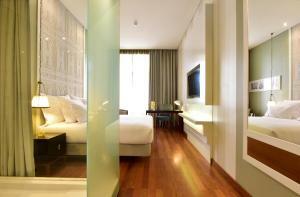 The Deluxe rooms are spacious, well-lit and comfortable. 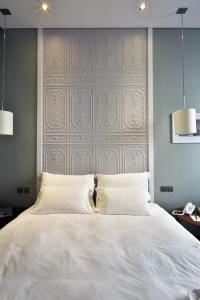 Decorated in an elegant classical style they come equipped with all the conveniences so that our guests feel comfortable. 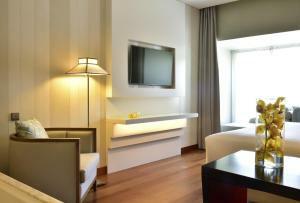 The deluxe rooms offer views to Praça do Comércio, Rua do Ouro or Lisbon City Hall. Some of them include a balcony. This offer includes: - Welcome drink (champagne); - Dinner with drinks included; - Sparkling wine and raisins at midnight; - Open bar; - Entertainment. This family room has a flat-screen TV, tumble dryer and minibar. Rate: € 313.40 ... € 344.63; select dates below to get current rates.